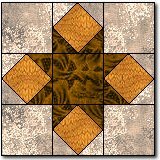 Star quilt patterns come in many different shapes and sizes as well as levels of difficulty as can be seen below. 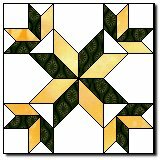 In fact there are an amazing variety of star quilt patterns as well as there being many different interpretations of each star design. Below are a range of blocks that have been made from the same star design but you will notice that the coloring gives the illusion of each star design being different. 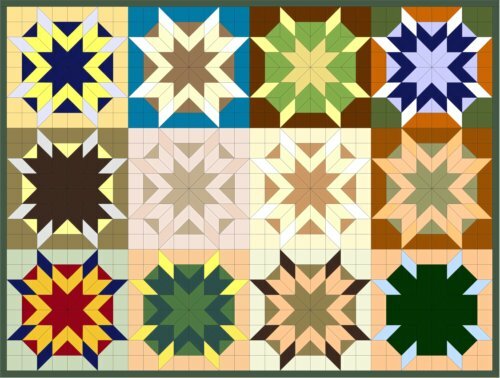 There is an actual quilt using the star blocks below. It is believed to have been made by an Armish woman in the early 1900's. It can be viewed at the Museum of American Folk Art in New York. 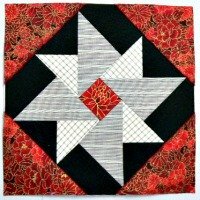 Quilts made using a star design are popular across all quilt communities. Many star quilt patterns can be seen when browsing through a range of quilting books both recently published and in those books now out of print. What can become confusing is all the different names that have been given to the same star design. This change of name often occurs because the colors used in each star were placed in a different order. One star I came across that has many different names is the 'Star of Bethlehem.' This star pattern is also known as Rising Star, Lone Star, Morning Star, Virginia Star, Blazing Star and probably many more. Another great way to view a range of different star quilts is by visiting quilt shows. There you will often see a sample quilt which will usually contain several diffent star designs. The star has a lot of history attached to it. In America many Native Americans view the star as a sacred symbol, one that is synonymous with honor. This belief has been handed down through the generations. Because of this belief star quilts are more often used in ceremonies as gifts, for example they were given to the family of the deceased, or as a gift at weddings and births, than seen on beds. 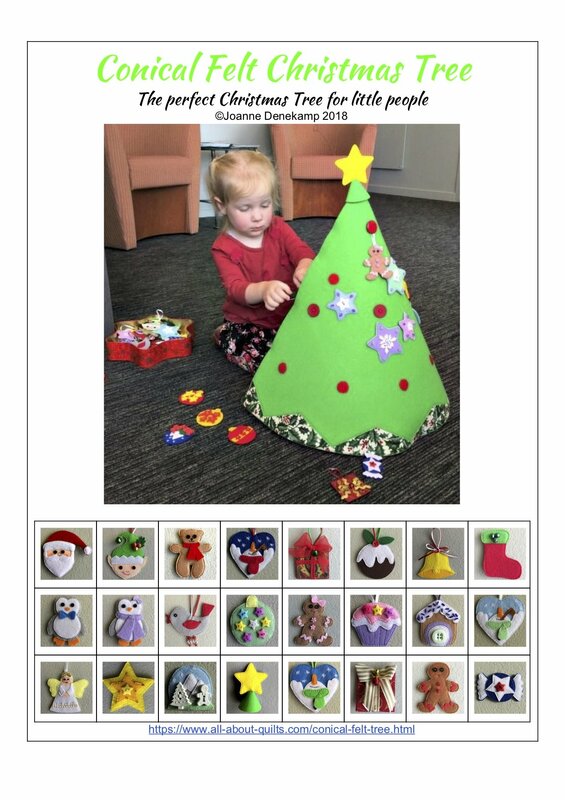 Today each star quilt expresses the beliefs and values of the women who make them, making them very important as well as a source of income for their makers. The design most commonly used is the Lone Star and/or variations of it. For a closer look at some spectacular quilts visit the Smithsonian Museum. Star designs can also be found in mosaic floor tiles and on furniture dating back to the Romans. 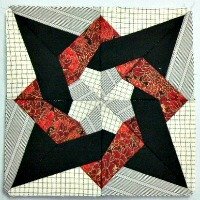 For quilters there are several reasons that star designs are so popular. They are very versatile. The star can have a different number of points ( 4, 5, 6, or 8). 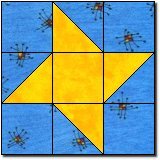 A single large star can cover a quilt top or the top can be made from a range of smaller stars. They can be made out of scraps of fabric due to their ability to be divided into small geometric shapes of squares, rectangles and diamonds. Also the same star pattern can look completely different when made out of one, two, three or four colors. 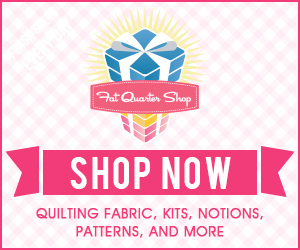 For more information regarding the history of star quilts visit History of Quilts.